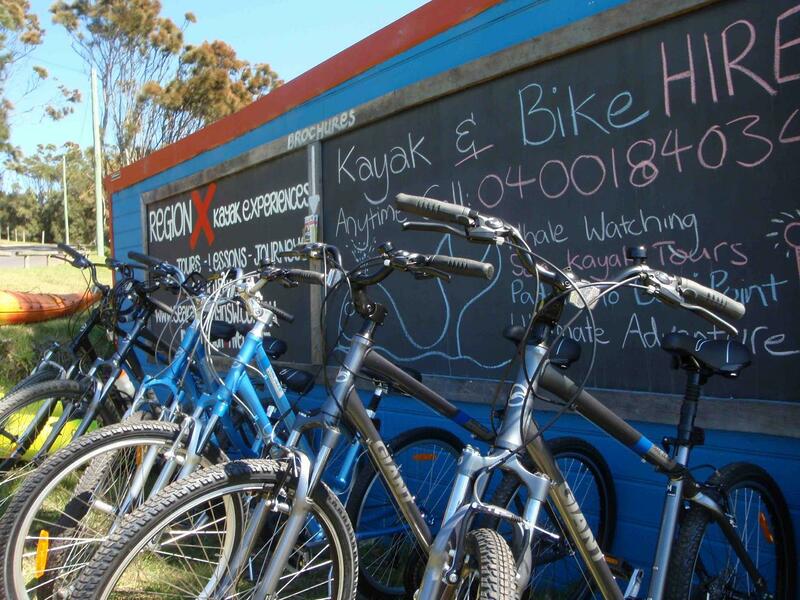 Cycle a mix of concrete bike paths and bush single tracks as you discover the sea side hamlets and quiet back streets of the legendary holiday destination. 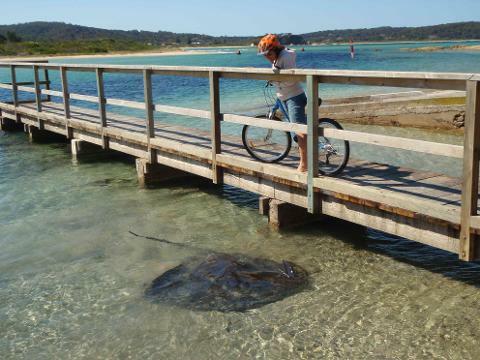 Your adventure starts at the Region X Boatshed in Mossy Point, an area famous for its large smooth spotted stingrays! Our expert staff size you to your chosen bike and give you instruction on how to handle the Giant comfort Mtn Bikes. Your cycle starts by visiting the cliff top lookout where you see the Tomaga river mouth as it enters the ocean, a popular recreational fishing entrance and east to Burrewarra Pt. You also see the now connected Broulee Island sitting to the south of the view platform. Your tour continues along shared cycle path through the village of Broulee, you cruise just behind the sand dunes and have opportunities to explore North and south Broulee beach. From here the concrete ends and a series of information boards dotted along a fantastic single trail track guide you through one of the largest remaining stands of Bangalay sand forest, just behind south Broulee beach. The site is home to endangered Glossy Black Cockatoos, echidnas, monitor lizards and countless rare plant species. The pleasant bush setting is easy peaceful riding without hills! The trail finishes at the Moruya Airport where beach views to the east make a great spot for a drink before heading back along the trial to find a protected spot for a quick swim. A great optional extra is to stop at the famous Old Mossy Point shop, a heritage listed building with a leafy atmosphere and great, food and coffee. This cycle tour is a fantastic insight into the area and a healthy way to explore!